Today is a beautiful day – the sun is shining, I can see the trees swaying gently outside my window. Ideally, I should be outside for a run, but instead I decided to stay in and bake. Hot day = horrible day for pastry. 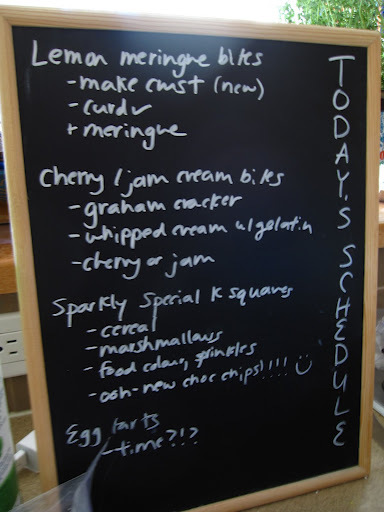 I had the best intentions, heck, I even charted out what I wanted to accomplish! Cute, right? Check out those new mini rainbow chocolate chips I bought! Unfortunately either Special K is not made for this dessert or homemade marshmallows don’t quite cut it because it was a mushy mess. *sigh* Too bad. 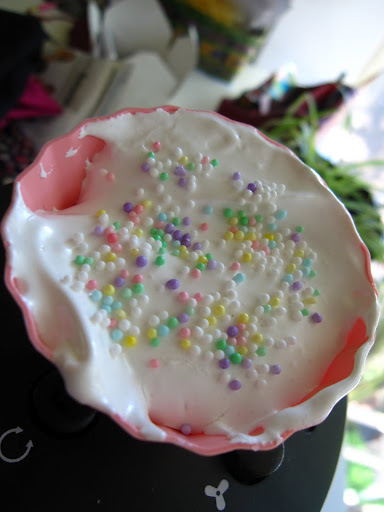 Just a little bit off plain mallow spooned into a silicone muffin cup topped with some cheerful sprinkles. Lucky for me, I had made the curd last night (as evidenced by the check mark in the first photo) – however, I decided to try out a new pastry base. Today. At noon. 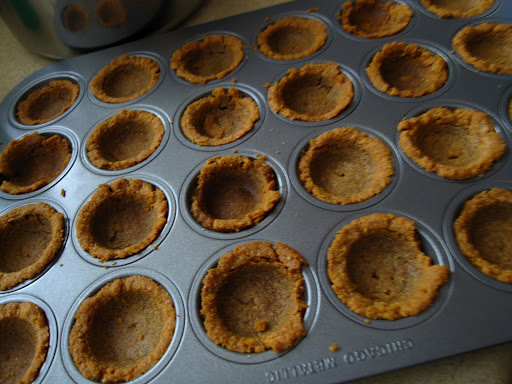 Too much water added in the egg + too warm of a kitchen = puffy, gummy, tough tart shells. Next up – “Cherry/jam cream bites” with a graham cracker crust. With the crust fail, I switched priorities to this crust to hold my lemon curd instead. It all rested on this crust. 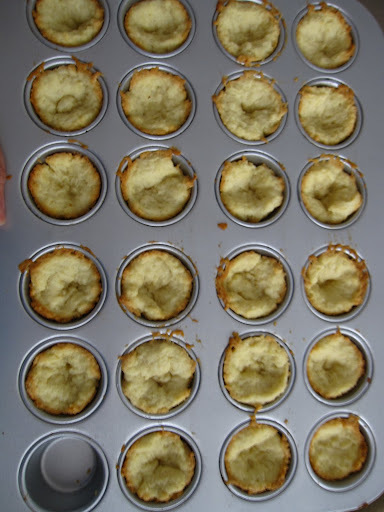 It came together well and they were patted into a mini-muffin tin. I put them in the oven and…they started to bubble and puff. WHAT???!!! I took them out and immediately started to pat them down. I put them in for another 5 min and took them out. They were a bit wet on the bottom so I thought, “hmmm, maybe I should take them OUT of the tin and bake them.” Bad idea. About 10 of them disintegrated in the heat. I would up sliding them BACK into the tins to cool. They don’t look too horrible, right? They actually taste pretty good too! I’m going to attempt assembling tonight @ T&J’s….wish me luck! 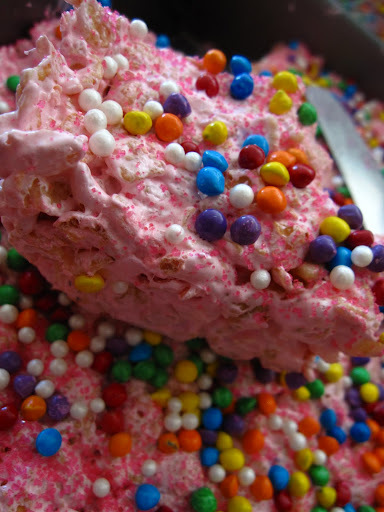 If it all fails horribly, I have a fresh batch of chocolate hazelnut ice cream – topped with thawed cherries and juice, yum! ← Dulce de Leche – Slippin ‘n slidin’!